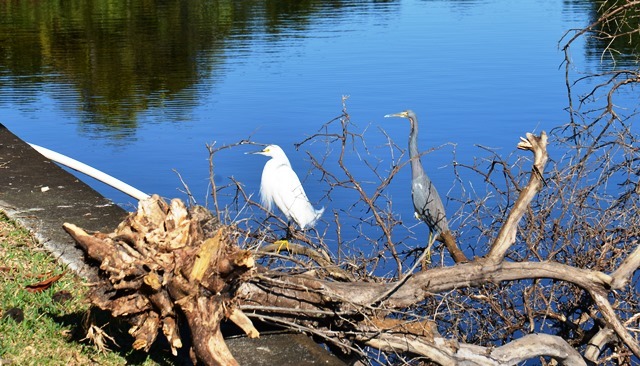 One of the reasons we go to the Everglades, is to see the wildlife; birds like snowy egrets and blue herons. How delightful to look in the backyard, and see them both perched on what is left of the poor bitter orange tree. This entry was posted on April 12, 2019 at 12:01 am and is filed under In the Wild!, SlideShow. You can follow any responses to this entry through the RSS 2.0 feed.